Introductions usually start off with a handshake. But little did you know that you would actually be better off kissing them hello! 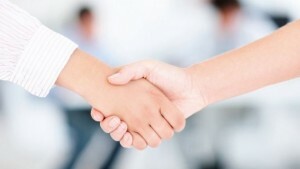 Scientific studies have found that you are more likely to pass germs through a handshake rather than a kiss. People’s hands touch way more than their lips, so they are exposed to many more germs. Think of yourself going through a normal day. You open your door, you touch bathroom stalls, you touch your keyboard, your phone, your hair, your face, other people, etc. After touching different objects and people, there are millions of germs that build up on your hands, so when you give a handshake that is two hands touching, both with numerous amounts of germs, so when you touch you are then spreading bacteria leading to common colds and illnesses. Most people are not going to kiss each other if one of them is sick, but people continue to shake people’s hands even when they are sick. When two people kiss each other they are sharing millions of bacteria. In fact, even in a quick 10 second kiss, there are 80 million bacteria are transferred between the two mouths, pretty unsanitary right. The most common greeting is a handshake, but what researchers have found that giving a high five instead of a shake is 20 times less more likely to spread bacteria. Interestingly enough hugging a sick person is even less likely to share germs than giving someone a handshake. Not only does hugging provide less access to germs, it also has immune-protective benefits, including reducing the levels of stress and blood pressure in your body. Britain’s leading flu expert, Prof John Oxford, and a virologist at Barts hospital and the London School of Medicine has concluded that greeting someone with a kiss would cut down the spread of infections. After experiencing and determining the amount of bacteria being spread between people, they found that the best and safest way to greet someone is by kissing not their mouth but their cheek. They even provided information on whether people would want to kiss the left or the right. Social expert, Liz Brewer, stated that kissing the right cheek symbolizes more of a heart to heart greet, whereas kissing the left cheek is more of a friendly kiss. After reading all of the research on the germs that spread from handshaking, it really makes me rethink the best way to greet people. Although, kissing people I am meeting for the first time just doesn’t sound like the right kind of greet. This entry was posted in Uncategorized on December 2, 2016 by Mackenzie French. 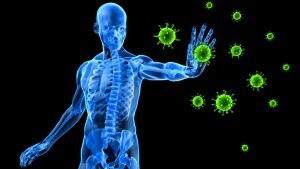 More tattoos stronger immune system? I have heard that the more tattoos you get the stronger your immune system becomes. The idea is that your immune system is trying to protect the body from the ink that is now implanted into your body and it works to make the wound heal, so overtime the more tattoos you get the more your body starts to work on fighting off the ink which is almost like a “foreign invader” in your body. Is this actually true? This idea bottles down to the correlation between Immunoglobulin A and tattoos. Immunoglobulin is an antibody that has an important role in the immune system by protecting and responding to specific bacteria and viruses that try to invade the body. Researchers from the University of Alabama discovered that getting multiple tattoos would be equivalent to the immunoglobulin in your body. 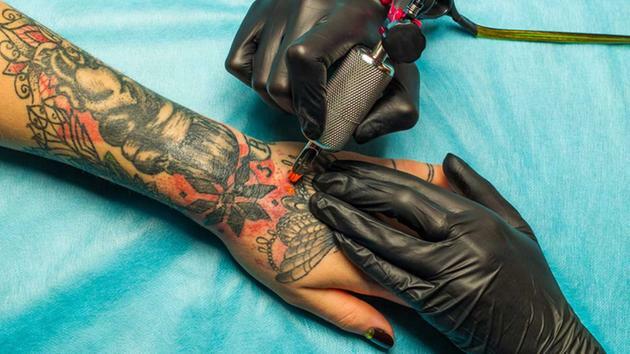 It seems odd that having many tattoos would lead to your body being able to fight off more common infections than if you were to have just one tattoo. The research team discovered that people who just got one tattoo would actually have a huge drop in their resistance to fighting off infections due to their rise in cortisol levels. I shared this information with my friend and she said it was totally true. 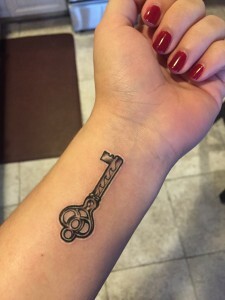 She even shared her story with me about how when she got her first tattoo, which was a key on her wrist, that a week after she had to go to the doctor since she felt really sick and ended up with bronchitis. Her doctor had told her that her immune resistance was low since it had been working on healing her tattoo rather than her illness. But after she got her second tattoo on her back, it actually healed faster and she did not get sick. She explained to me that with her first tattoo it scabbed over and with her second one there was no scabbing. The scabbing was a mechanism for healing, so since the second healed way faster it did not scab, since the body was already used to this foreign ink exposed on her body. This concept of the more tattoos the more strong your immune system is, is quite interesting. Although the Alabama team’s research only consisted of 24 women and 5 men, which is too small of a sample size to conclude anything, it seems believable, especially after hearing what my friend had to say. I would like there to be more research done on this topic! 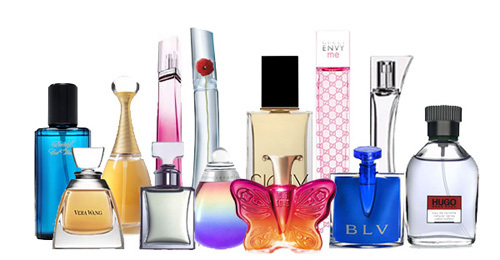 I was talking with a couple of my friends and the topic of perfumes came up and we were all talking about our favorite ones etc. but one of my friends said “did you guys know that a perfume can smell different on all of us?” I was a bit confused and didn’t really know if I believed what she was saying. The thought of one perfume smelling different on different people seemed a bit odd. I decided to do some research. Everyone obviously has a unique body chemistry and is made up of different genes, skin types etc. But the key part to this idea of perfumes smelling different on different people is the fact that the perfume molecules react differently on the skin depending on dryness, oiliness, or sensitivity. When considering the differences of skin, you also have to look at the differences inside the skin. The fat, acids, salts, sugars, proteins, fibers, hairs, etc. 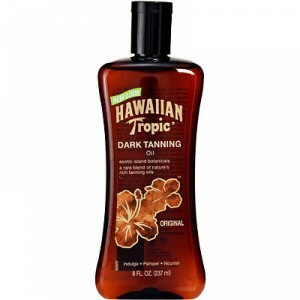 all contribute to the different complex mixtures of chemicals built in every person’s skin. Each of these components contribute to the way the perfume chemicals will react changing the smell of the perfume. Another factor that leads to this is how the perfume molecules react throughout heartbeat. It sounds weird, but it is true. It has been found that the molecules react with the warm pulse points, causing a reaction with our skin and our hormones. This reaction then determines what type of smell the perfume is going to give off. Another idea that comes into play in determining why a perfume will smell different on different people is the fact that we all may smell differently. Scientists have discovered that people smell different scents since we all experience outdoor odors differently. According to the Nature Neuroscience Journal, 30 percent of the 400 smell receptors humans have differ between any two people. This being said, two people may smell a perfume on someone and both smell it differently. One may find it pleasant and the other may not. A study was conducted to identify the amount of differences in receptors there are between people. The researchers decided to duplicate 511 receptors in a laboratory and implanted them in host cells. The researchers then measured how each receptor reacted to a panel of 73 different odors. The study found that 140 of their 400 receptors were different by using mathematical models. The research teams goal is to figure out how to manipulate the receptors directly so that there would be no differences in smells between people. An additional factor that can influence the difference between smells of the same perfume is the exposure to light and heat. For example, if a perfume bottle was sitting in a car trunk for a long time, baking in heat, the fragrance can become unstable and therefore smell different than a bottle that was sitting in doors in a cool room. Also if you apply the perfume to warmer parts of your body, like the pulse points I discussed before, the perfume molecules will volatize faster leading to a stronger smell. If you apply the perfume to cooler parts of your body like your hair or even your clothing, the smell won’t be able to volatize leading to a weaker smell. All of these contributions to the idea that a perfume can smell different on my friend than it does on me do make sense. I guess I should have believed her when she told me! Does gum make you more or less hungry? Gum is always good to cure bad breath, but it also comes in handy when you’re starving and can’t eat a meal at the time, at least for me. I have always wondered whether chewing gum was a placebo effect in the sense that my jaw was moving so it made my body think that I was eating which in essence made myself less hungry. So I decided to do some research and figure out whether or not gum actually prevented hunger. I found a Livestrong study published in “Appetite” in 2011, which had two groups; one group chewed gum for 15 minutes after each hour after lunch and the other group did not. Both groups were offered snacks three hours after their lunch. It was found that the group who chewed gum ate 10 percent less snacks than those who didn’t. Which, concluded that the gum chewers were less hungry and had less cravings for sweet and salty snacks. Another study also in “Appetite” which experimented with this same idea but in 2007, however, found that those who chewed gum still craved salty snacks 3 hours after their lunch. Oddly enough they did not crave the sweet snacks though. The other possible idea that comes along with whether chewing gum makes you hungrier or not is whether it can make you lose weight by suppressing your appetite or will it make you gain weight. 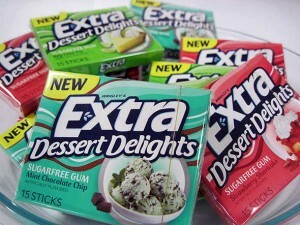 A study was done to investigate gum’s effect on appetite and calorie intake. The study consisted of 60 adults, including 15 lean males, 15 lean females, and 15 obese males and 15 obese females. I thought it was interesting how the study was broken down into 3 parts; the participants either had no gum, the participants chewed soft gum, or the participants chewed hard gum all for 15 minutes. The study concluded that there was no significant effect on whether chewing gum lead to weight loss. Although, interestingly enough, the study found that there was an energy intake decline in lean participants and actually an energy increase in obese participants. When searching for an image for this post I came across this picture. I think it’s crazy that there is actually a gum created to suppress your appetite. But when I think of the different types of gums, the dessert flavored ones and the starburst flavored ones, etc. 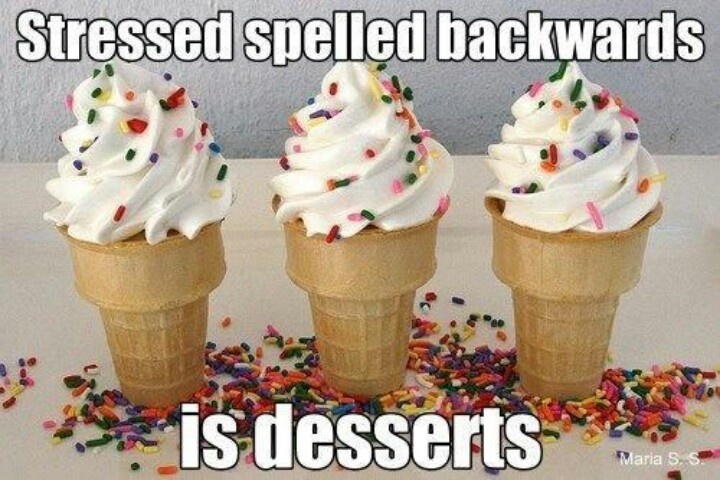 actually seem to take away a craving for sweets. It may just be a personal anecdote, but who knows. 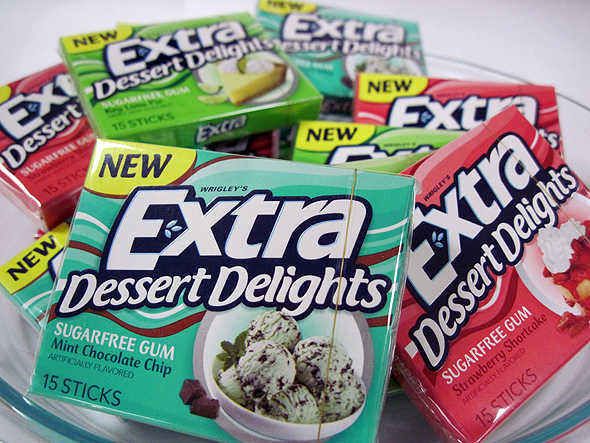 The dessert flavored gums are actually all interestingly enough sugar-free, so how would that stop your craving from sugary foods? According to the women’s health magazines, people have claimed that by chewing a piece of a fruity flavored or dessert flavored gum that their cravings for sugary foods are fulfilled. These are all anecdotal studies though. Their should be a study done on whether or not this actually works. When researching whether or not gum makes you more or less hungry, I found an interesting fact that I didn’t know before. I found that chewing gum can help you overcome cigarette cravings and even improve your memory. There are plenty of studies done on this idea and yes there are studies finding that chewing gum makes you more hungry, but most of the studies I found concluded that gum leads to less of an appetite and in essence helps you lose weight. Did you know that trees talk? Does anyone else ever get bored and watch TED talks in their free time? Well when I can find myself time, which is rarely ever, I like to see what people are researching and the ideas they are coming up with. Some Ted talks are comical, others are sad, but some are quite interesting. As I was scrolling through a list of topics I came across one about “How Trees Talk to Each Other” by Suzanne Simard. I thought to myself, “what the heck? trees do not talk… So I decided to watch it and see what she had to say. In an 18-minute TED talk, that has 1,740,726 views, Suzanne speaks in hopes of changing people’s views on forests. Suzanne is an ecologist who grew up in the forests of British Colombia. 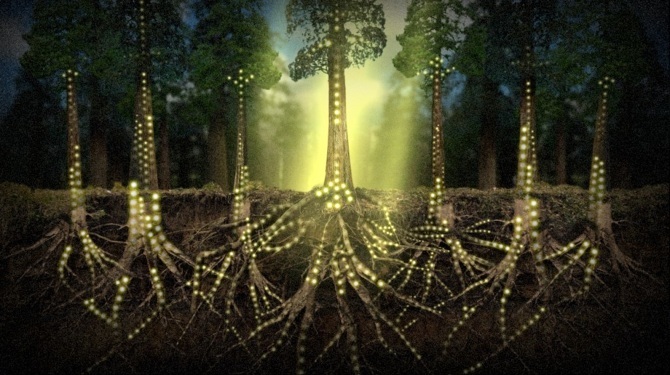 As scientists have found that one root can transfer carbon to another root, she took that idea to a real forest and discovered whether trees can share information below ground. She decided to conduct experiences 25 years ago. She grew 80 replicates of three species: paper birch, douglas fir and red cedar. She placed plastic bags over the trees, injecting carbon-14, the radioactive gas, into the birch, a stable isotope carbon 13 carbon dioxide gas into the fir. She used two isotopes as she wondered if there was two-way communication between these species. 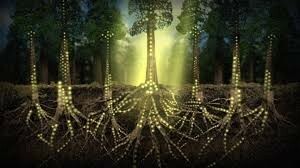 Her hypothesis was that they would transfer underneath the ground in a world of infinite biological pathways. She found the evidence. The C 13 and C 14 was being transferred between the trees. She concluded that these two species were inter-dependent. She had found solid evidence that trees communicate. She has plantation studies that are 30 years old. The trees were conversing in the way of information, just like us. Now that is some crazy science! Rich Karban, an ecologist at the University of California, Davis, also discovered that plants communicate with each other. He found that sagebush communicate with each other, sending, receiving and interpreting messages all without a brain. After numerous carefully controlled experiments were repeated in labs, forests and fields, evidence has been established. It has been concluded that when bugs chew leaves, plants respond by releasing volatile organic compounds in the air. In Karban’s study, 40 out of the 48 plant communication studies confirmed that the plants detect the airborne signals and respond with defense mechanisms. The evidence that plants can perceive the volatiles and respond, helps prove that plants can communicate. I am glad I ended up watching Suzanne’s TED talk because I found it quite interesting that plants can communicate with one another and that there is a whole other world to forests that I had no clue about. With fall making the trees look so gorgeous here at school, this blog post is quite relevant! This entry was posted in Uncategorized on October 20, 2016 by Mackenzie French. In my friend group from home, there happens to be two sets of girl twins. 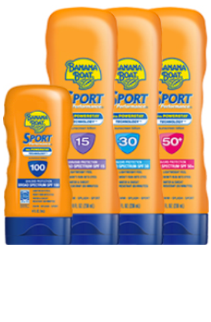 One set is fraternal and one is identical. I am close with all 4 of them, but it is interesting to watch them and see their similarities and differences. When I am in with my friends who are identical twins, people always stop them because they look so much alike. But once you become close friends with them, you determine they aren’t so much alike. They do everything together and even go to the same college and live on the same floor. They are in the same sorority and have the same friend groups. I have always wondered that since they make the same decisions if they think the same and act as one another would if they weren’t around. But what I am really curious about is if twins actually have twin telepathy? What’s interesting to me is that my fraternal set of twins not only don’t look alike but they are completely different and don’t have the same friend groups and don’t do much together. Whereas my identical set of twins look exactly the same and do everything together. They perform similar actions, like buying the same clothes, ordering the same foods, and sometimes even speak simultaneously. I have even been with them when one twin is crying, the other starts to cry because she feels bad she is crying. Is she actually feeling her pain for her? 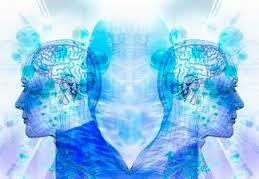 Through telepathy one twin can sense what the other twin is thinking or feeling, whether sitting next to each other or at completely different places. It is found that the closeness between identical twins genetically plays a large role in why they experience telepathy so often, so that would explain why my identical set of twins are more common to have telepathy than my fraternal set. Because of this closeness, scientists claim it gives identical twins a heightened extra sensory perception, an ability to acquire information without relying on physical senses and or past experiences. It has been found that identical twins are twice as likely than fraternal twins to experience telepathy. 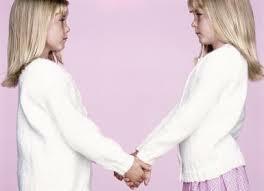 Personal anecdotes are the most accurate and strongest pieces of evidence to support twin telepathy. If you google it, you can find thousands of different stories. Researchers have also used a polygraph to document twin telepathy. In one study, one twin was hooked up to the polygraph while the other twin was in a separate room dunking his hand in ice water. The polygraph ended up showing a change at the exact same time the twin was placing his hand in the water. How crazy is it that the twin would create a change without feeling anything at all, but simply because his twin, in the other room, was feeling something. There are many other studies conducted that show a change in the polygraph due to twin telepathy. There are numerous amounts of scientific theories behind twin telepathy, but one of the most credible theories has found that the similar brainwaves cause the twins to act so alike and therefore experiencing telepathy. With the advanced technology available in the world, science and research is able to form more complex theories. 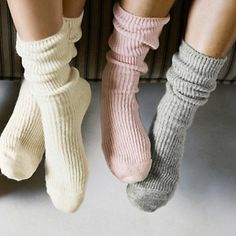 For example, scientists have found that cells can be “entangled, or coupled,” meaning that two very difference cells have unique connections. Scientists hypothesize that twin telepathy is related to these entangled cells because of this idea that the cells spin in opposite directions, but they correspond to one another. Meaning when one cell is altered even minutely, the other cell is still going to spin in the opposite direction. They are using this concept of entangled cells to conclude that when something happens to one twin, it affects the other twin no matter the distance they are from each other. A study in England was done to measure and determine the existence of telepathy and thought concordance in pairs of twins and other siblings. The experiment consisted of one sibling choosing a number at random or drawing that he/she thought the other would draw. The results found that the twins scored nearly twice as many correct answers as would have been by chance. But when they did the ESP test, where the tester chose the image for the subject to draw or with a number on it, neither the twins nor siblings scored better than chance, concluding that twins do not have any special sense telepathy with each other. After reading and viewing research on twin telepathy, I believe that twins have a special connection that no one else has. I think it is due to their DNA and how they are genetically the same, therefore they are prone to think and act the same and can even sense each other since they are so alike. Also, with having such good friends as twins it makes my view stronger on this idea. Personal anecdotes don’t prove causation equals correlation but they do make me believe twin telepathy is real. 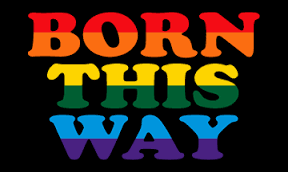 With LGBT coming out day happening last week, I began to wonder if people are born liking a certain gender, or if their environment in which they grow up in has an effect, making them act and become a certain way. I personally have a few friends who are openly gay and have talked briefly about this topic with them. I have asked them if they have always known they are gay, or at what time did they find themselves to be gay. All of them answered that they always knew they were gay, leading me to believe that people are born liking a certain gender. I decided to do some research. The controversy over whether people are born gay is related to the nature vs. nurture debate. Since the early 1990s, scientists have conducted numerous studies in an attempt to determine a genetic cause for homosexuality. This research continues as it has not yet been proven to be valid evidence, i.e. causation does not equal correlation. As there is no science or DNA test to specify if a person is homosexual or bisexual, people believe that sexual orientation is a matter of how one defines oneself from the interaction of psychosocial and environmental factors throughout their life. In November of 2014, the North Shore Research Institute conducted the largest study examining the debate of whether people are born gay. The study consisted of 409 sets of gay brothers and identified two genetic regions – Xq28 and 8q12 – that seem to correlate to homosexuality in men. This study follows the report done by geneticist Dean Hamer in 1993, suggesting the existence of a “gay gene.” Neuroscientist Simon Levay believes the DNA we are born with determines the theory of homosexuality. Some people also believe that being gay runs in families. Researchers have found evidence for this belief, as well as the idea that it is more likely for two identical twins to be gay than it is for two fraternal twins since they share all of their genes rather than just half of their genes. A study done in 2012 suggested that epigenetic genes play a role in homosexuality. Since this type of gene regulation can be influenced by environmental factors or conditions during prenatal development, it is said that this epigenome can be passed down, explaining why being gay seems to run in families. 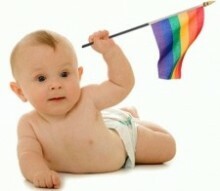 Many believe that the environment in which they grow up in affects people’s homosexuality. For example if a boy were to grow up with five sisters and played with all their barbie dolls, watched them all get ready and interact with each other, talking about having crushed on boys, etc. would the boy turn out to be more feminine and in essence lead him to be gay? After researching about this debate, I am still unsure, like the world, whether people are born gay or not. But I am leaning toward the idea that they are because if people were to have the “choice” to be gay, then there wouldn’t be so many cases where people are attempting to change their orientation. Also, after talking to my friends who are gay who have said that they have always known, it furthers my belief. But anyways, no matter what, everyone who is straight, homosexual or bisexual, should all have the same rights and all be able to love whomever they want! Does sugar make us happy? Whenever I have had a bad day, or am feeling down I tend to treat myself with some sort of sugar; whether that’s eating a bag of sour patch, a carton of ice cream or a box of cookies. I’m not sure why I always crave bad food when feeling sad or stressed, but it tends to do the job. Although candy and junk food may not be the healthiest solution to happiness, they can be the best remedy for a quick fix. I am curious to know whether sugar and junk food are actually making me feel happy or do they lead me to be more depressed? As I was researching about sugar, I found out that sugar can actually cause depression. Some people are allergic to sugar and goods like white flour that the human body processes like, yet they are causing people to suffer from chronic severe depression and anxiety. Scientists refer to this depression as “metabolic syndrome Type II” where people’s brains become swollen, causing them to feel depressed. Unlike how sugar causes my stressed and depressed behavior into happiness, sugar can actually cause people aggressive behavior, anxiety, and fatigue. Specialists at the Brain Bio Center, have found that poor blood sugar is one of the biggest factors in mood disorders. The brain depends on an even supply of glucose, so when one eats a great amount of sugar there becomes sudden peaks and troughs in the amount of glucose in your blood causing symptoms of depression, irritability, and even poor concentration and forgetfulness. What I have found quite ironic when researching about whether sugar makes people happy, is that sugar and junk food actually cause people to feel depressed the next day. When you think about it, if I were to eat a chocolate bar after completing my math homework because I felt stressed, my initial response would lead me to feeling content while eating it. But then, the next day I might have the same feeling of stress and if I were to eat another piece of junk food, the cycle would continue. I would never actually be healthy and feel relieved, since I would only get quick fixes, but long term effects of a unhealthy diet, and mood. James E. Ganwisch, PhD, assistant professor at Colombia University noticed for himself that he would fall into this cycle of finding himself feeling down the day after consuming a lot of sugar. He, along with a team of researchers, decided to experiment to find out whether foods with a higher glycemic index (GI) would be associated with greater odds of depression. After observing roughly 70,000 postmenopausal women in the Women’s Health Initiative Observational Study and their diets, they found that adding sugars were strongly associated with depression. Who doesn’t love chocolate, whether its a hershey bar or kit-kat. I could eat chocolate at any time of the day if someone offered it to me, except now I’m going to start second guessing whether a chocolate bar is what I need when I’m feeling down after reading this study. Dr. Beatrice Golomb, a professor of medicine at the University of California at San Diego School of Medicine, conducted a study to determine the link between chocolate and depression. In the study she and her colleagues surveyed more than 900 people and their weekly chocolate consumption and their overall diet. They explored the question of whether depressed people eat more chocolate simply because they crave it, or if the consumption of chocolate itself causes depression. After observing the participants they found that the people who ate more chocolate were more depressed than those who ate less. After researching about the link between eating sugar and depression, I have concluded that I will no longer turn to eating a bag of sour patch or eating a chocolate bar and instead will turn to foods with a low amount of sugar so that I won’t find myself feeling down the next day or causing myself depression. This entry was posted in Uncategorized on October 17, 2016 by Mackenzie French. I currently have a raging headache. I feel completely fine, it’s not like I am sick, but my head is pounding. I texted my mom and asked what I should do. She said to take Advil and drink water; the common “cure” you hear for most things these days. I am curious as to what made my head hurt first place? Where inside my head is it hurting? And how can headaches actually be cured? Everyone in this class has probably experienced a headache. If you haven’t, then consider yourself lucky. Headaches can range from mild to chronic. Mild headaches, can be cured with Advil or will just eventually go away with some water and sleep. Others, can be chronic. My friend, for example, is prescribed 800 mg ibuprofen because she gets such bad headaches. She has to sit in her room with all her lights of and no sounds for hours, in order to cure them. These headaches are typically referred to as migraines. Some say that stress can cause headaches. I believe that, but I don’t exactly understand why stress would cause your head to hurt? I have also heard that not enough sleep can cause headaches as well. The most common type of headache is a tension headache; where it feels like you have a constant pressure or ache on both sides of your head. Researchers suggest that these headaches are caused by altered brain chemicals and or mixed signals in the nerves that lead to the brain. These types of headaches are considered mild, and can be cured with an Advil. On the other hand, people suffer terribly from the pain of migraines. Some migraines can even make people nauseous to the point where they throw up. Most migraines make people very sensitive to light and that is why they have to sit in a quiet dark room. Staring at a computer screen or your phone can also lead the cause of a headache. Researchers have recently found that migraines are due to the excitation of a nerve responsible for sensation in the face. When the nerve is interrupted, it can cause the blood vessels that surround the brain to expand and inflame. 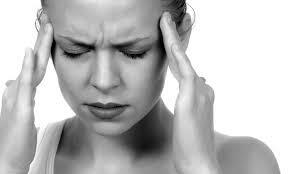 I wonder if there is a way to prevent getting headaches and migraines considering many people suffer from them. This entry was posted in Uncategorized on September 16, 2016 by Mackenzie French. Does climate change people’s moods? I open my blinds and see that it’s a sunny day out and immediately I’m excited for a beach day (I live in California). I open my blinds and see that it’s gloomy out, I lay back in bed. I open my blinds and see that it’s pouring rain, I go and make hot chocolate and decide I will be in my pajamas all day long, having a movie marathon. According to Psych Central, weather affects people’s moods. Typically, people think that winter months, where the weather is cold and the sun doesn’t come out for a couple weeks, is when people become the most depressed. It is true that cold temperatures make people feel sad, lazy and tend to isolate themselves from society by staying inside and usually on the couch watching movies. But, did you know that heat actually effects people’s moods more? Researchers have found a relationship between human aggression and higher temperatures. They discovered that people who are living in conditions where the temperature is much hotter than normal, their interpersonal violence increased by 4%. Since climate seems to change people’s moods, does death have a correlation with climate? Scientists have actually discovered that suicides peak during the spring and summer. I found this interesting since spring and summer seem to be the happiest months to me; the weather is hot and the sun’s usually out, making me want to be outdoors and adventuring with friends. But for some, the heat can be a problem. The researchers discovered that outdoor workers had a higher chance of committing suicide in the spring months rather than during the winter months; seems a bit odd right? They also found that indoor workers were more likely to commit suicide during the summertime. Climate doesn’t have to have an impact, and might not always effect your mood. 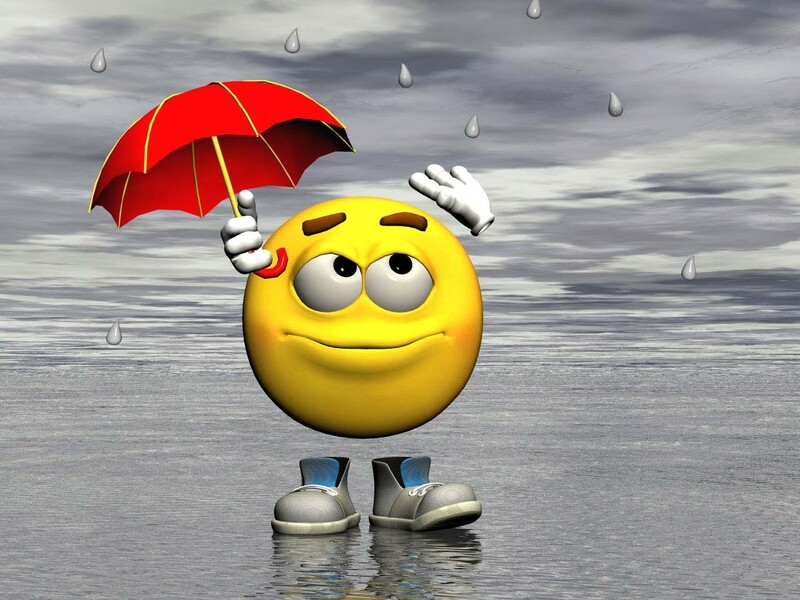 You could be having a great happy day even when it is pouring rain outside. But most people are effected by weather, and scientists have found a measurable impact on many people’s moods according to their geographic location and weather. This entry was posted in Uncategorized on September 15, 2016 by Mackenzie French. Do you happen to remember your dream from your last nights’ sleep? Or a dream from a couple months ago? Or one that keeps reoccurring? Maybe a nightmare? We all dream. We sometimes even day dream. Have you ever been sitting in class and completely space out and start dreaming; picturing a whole scenario in your head and then quickly realizing you’re totally lost in what the teacher is saying and you’re asking yourself why on earth you were just thinking about that specific thought? Well I have, and I am curious as to what makes me do so. I am a big believer in dreams. I’m always amazed at how dreams can be sweet, scary, upsetting, or wishful. Like we are processing information in our sleep, but the dreams don’t always match up to how we felt when we went to sleep. Maybe subconsciously we are sorting things out in a different way. I have noticed that before falling asleep my mind tends to wander and when I wake up, I have found that I had dreamt about what I was thinking about before falling into my REM. Especially when I am stressed about something, I dream about the situation I am stressed about, which usually end up in pretty embarrassing or traumatic situations. From a scientific point of view, dreams are a physiological process. Current theories suggest that dreams are the body’s way of “rebooting” the brain. In essence, the purpose of dreams is to get rid of the “garbage” that is cluttering the mind and therefore allowing the brain’s complex chemistry to stabilize. Researchers have been studying dreams forever, but with new technological advances, more conclusions have been made. According to Scientific America, the brain functions that operate while we are dreaming are exactly the same as those that function while we are alert and recalling the previous night’s dreams. Some people keep a dream book and journal next to their bed, so when they wake up they can immediately write down their dreams and analyze them. 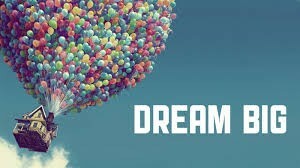 Others are unable to remember their dreams so they don’t put a lot of weight into them, but does that mean that they didn’t dream? Are those who are able to remember their dreams not in a true deep sleep? Outside factors, such as exercise, alcohol, hormones, etc. are all a part of your sleep cycle. When thinking about whether dreams actually have a purpose, all these questions and ideas play a role. Hello everyone, I’m MacKenzie French. I’m a freshman from Manhattan Beach, California. Yes, I came 2,590 miles from home to go to this landlocked school. But, so far it has been the best decision of my life. I am currently undecided, but thinking of heading towards a business and psychology major; both of which have not much to do with science. When I was planning my schedule with my advisor at NSO she gave me a few suggestions for Gen Ed classes. After reading the description for this class, I decided it was the most interesting. I have grown up taking science classes, did well and never really minded them, although I don’t see my future career as a science major. Senior year I took AP environmental science, which was intriguing to learn about the effects of the natural and unnatural processes that occur in our environment, but it was mainly memorizing facts and being tested on vocabulary instead of a class that engaged me in a meaningful way. I appreciate scientists and all that they accomplish, and I feel that this class will do a good job furthering that. I love to think about how the world was created, how our mind and medicines work, and just about every single topic on the possible blog topics list. I am excited to analyze and discuss science in a controversial way and challenge myself to think harder and more critically. This entry was posted in Uncategorized on August 29, 2016 by Mackenzie French.